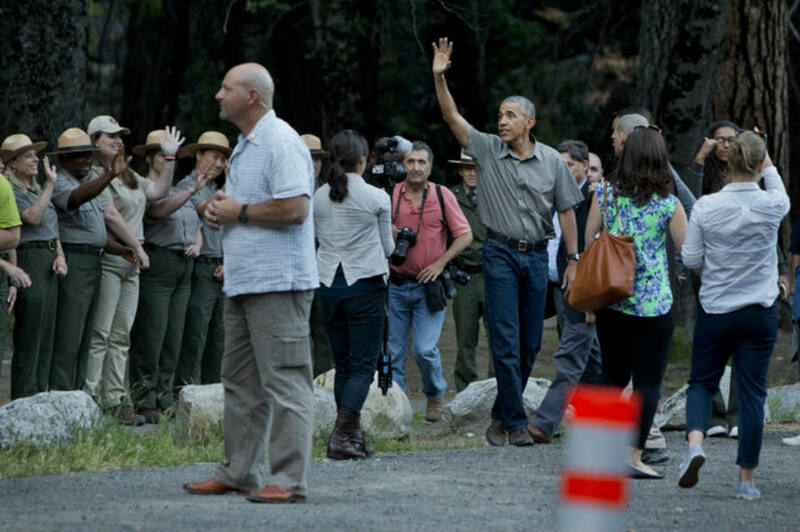 President Obama and his family arrived late Friday at the Yosemite Valley National Park as part of a weekend tour to celebrate the 100th anniversary of the creation of the U.S. national park system. The trip to the breathtaking natural area is aimed at raising awareness on the importance to preserve the environment and the care the government must provide to federal lands. 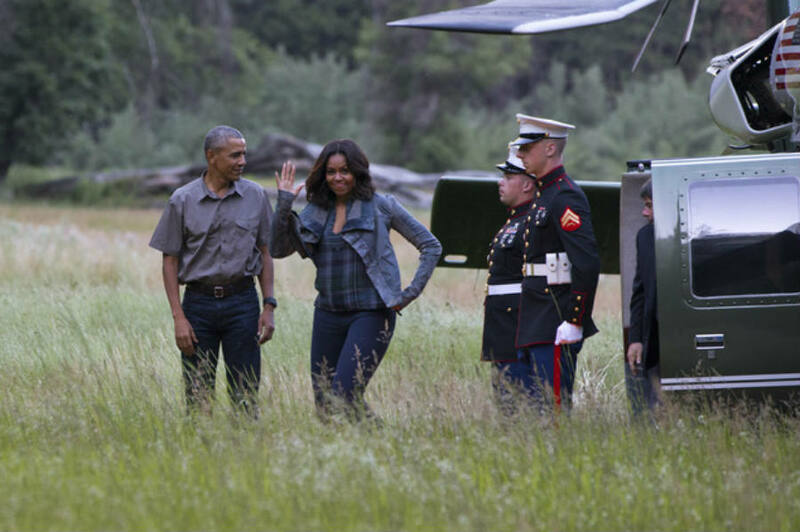 The president is expected to give a speech from the Yosemite Valley on Saturday. Before arriving at Yosemite National Park in California, Obama and his family had toured a fascinating underground cave at Carlsbad Caverns National Park, New Mexico. During the speech the president is set to give from Yosemite, he is expected to address the economic benefits implied by the National Park Service, which runs more than 400 sites. He might also highlight the threat climate change poses to the U.S. park system and remark programs designed to attract more people to visit the natural sites. The first family and the traveling press pool had the privilege to enjoy an astonishing view of the steep waterfalls as the sun was setting and the moon was replacing it in the sky. Marine One and some support helicopters, including a Chinook, triggered criticism on social media because the noise might cause disruption to the valley. When the Obamas exited the helicopters, a crowd welcomed them as people were standing just beyond the field behind a rope barrier the Secret Service had set up. The president, First Lady Michelle Obama and daughters Malia and Sasha walked some 30 yards through the grass and had the chance to speak with staff and park rangers. They then greeted the crowd and entered the presidential motorcade, which took them to the place where they would spend the night. “I want to make sure that the American people can enjoy the incredible national parks, the incredible beauty, the mountains, the oceans that have been one of the greatest gifts that we have ever received,” President Obama said in a Facebook video last week. He added that he wanted to make sure that the entire world could share “the God-given beauty of this planet” with future generations. Since Obama took office, 22 sites have been included in the national parks system under the Antiquities Act, according to information from the U.S. Department of the Interior. Eric Bontrager, the spokesman for the National Parks Conversation Assn, said these new sites were intended to “help diversify” the parks system. Bontrager added that protected sites that for a long time had not been represented in the system despite their high importance as icons of the story of the United States, as reported by the Los Angeles Times. He added that further work was needed to see the national parks telling the complete story, although they were already more inclusive and represented a better reflection of the American historical and cultural identity.